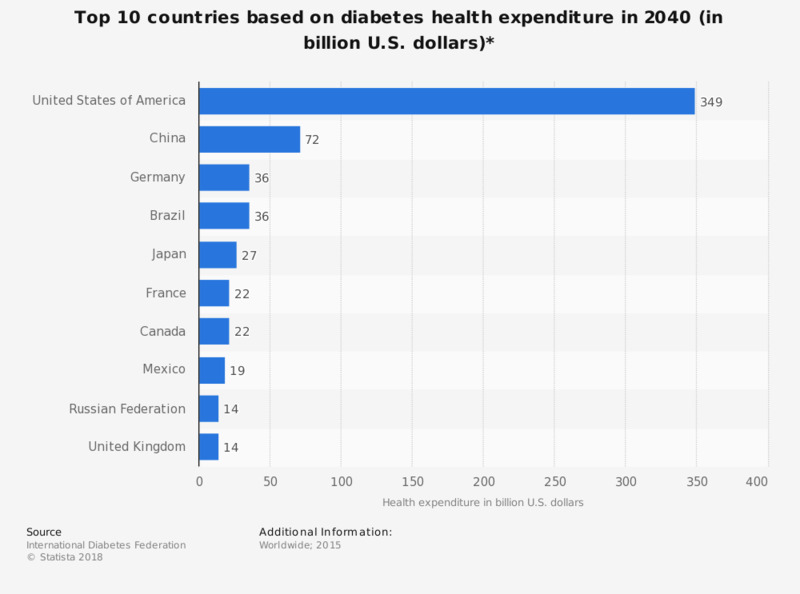 This statistic shows the forecast of the top 10 countries based on diabetes-related health expenditure in 2040. The health expenditure in the U.S. is expected to remain the highest with some 349 billion U.S. dollars, followed by China with 72 billion U.S. dollars. * All figures are forecasts.